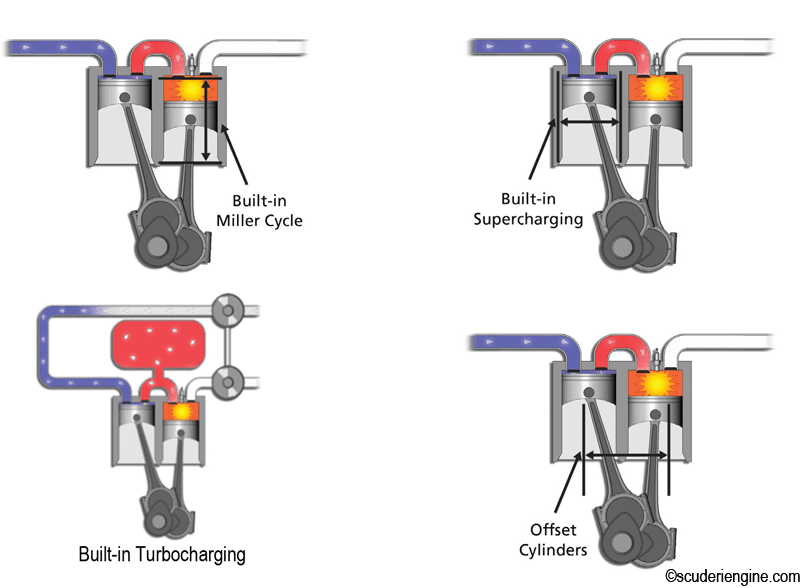 In order to achieve Miller cycle compression stroke make shorter than the expansion stroke by just increasing the length of the power cylinder. Built in supercharging can be added to the engine by simply increase the diameter of compression cylinder. It helps compression cylinder to supply more air (oxygen) to power cylinder, letting it burn more fuel and do more work. Piston friction can be reduced by offsetting the compression and power cylinder. What Graphic designing software do you use?